Tokyo Otaku Mode™ (TOM), a worldwide distributor of otaku content including anime, manga, and cosplay, as part of Tokyo Otaku Mode Inc. (incorporated in Delaware, U.S. by President and CEO Tomo Kamei) will be attending Anime Festival Asia 2012 Singapore, which will be held at the Singapore Expo Halls 7 and 8 on November 9th - 11th. TOM’s booth (Hall 7, Booth A04) will feature illustrators' and cosplayers' submitted work from TOM’s user generated content (UGC) website (http://otakumode.com), and TOM’s Otaku Camera app will be available to demo. Also, for the first time overseas, the N-02E One Piece smartphone will be on display. The phone is the collaboration between the extremely popular anime and the Japanese largest mobile carrier, NTT DoCoMo. 1. Popular illustrators' and cosplayers' work from TOM’s UGC site, otakumode.com, will be on display. On otakumode.com, which is currently in β testing, users can submit their own otaku creations. Works from eleven popular users, including illustrators and cosplayers, will be on display. The works will be exhibited in a much larger scale than is viewable on the site, giving attendees the ability to fully appreciate them. 2. The Otaku Camera app will be demoed. 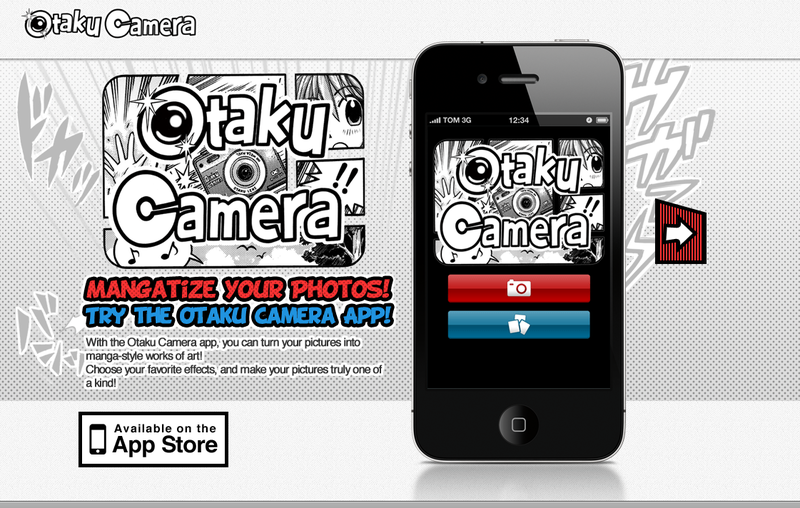 Attendees will be able to try out the Otaku Camera app. The app allows users to easily turn any picture into a manga-style work of art. 3. 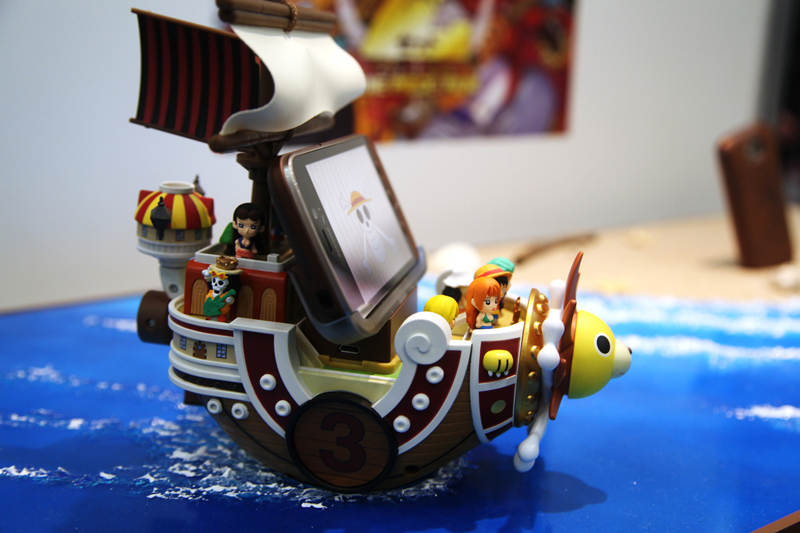 The One Piece smartphone will be on display. The One Piece smartphone, a collaboration between the popular anime and NTT DoCoMo, will be on display, marking the first time that the phone will be displayed outside of Japan. The N-02E One Piece smartphone will be released in December and features an exclusive One Piece design as well as applications utilizing the characters of One Piece. Tokyo Otaku Mode™ (TOM) was created on March 24, 2011 by President and CEO, Tomo Kamei. TOM was incorporated in the state of Delaware, U.S. in April 2012. TOM began on Facebook (http://www.facebook.com/tokyootakumode), the world’s largest social networking site, as a page for introducing news and events related to otaku content to the world. Within 19 months of operation, TOM has accumulated over 7.5 million Likes on Facebook, becoming the largest Facebook page managed in Japan. TOM’s website, otakumode.com is currently undergoing β testing. TOM’s new web service will provide a platform for fans and hobbyists of otaku culture to share content, connect with one another, and for content-creators to be fully credited for their work. TOM hopes to create a community of respect between content-creators and fans, while enriching the otaku lifestyle and contributing to the global entertainment market.